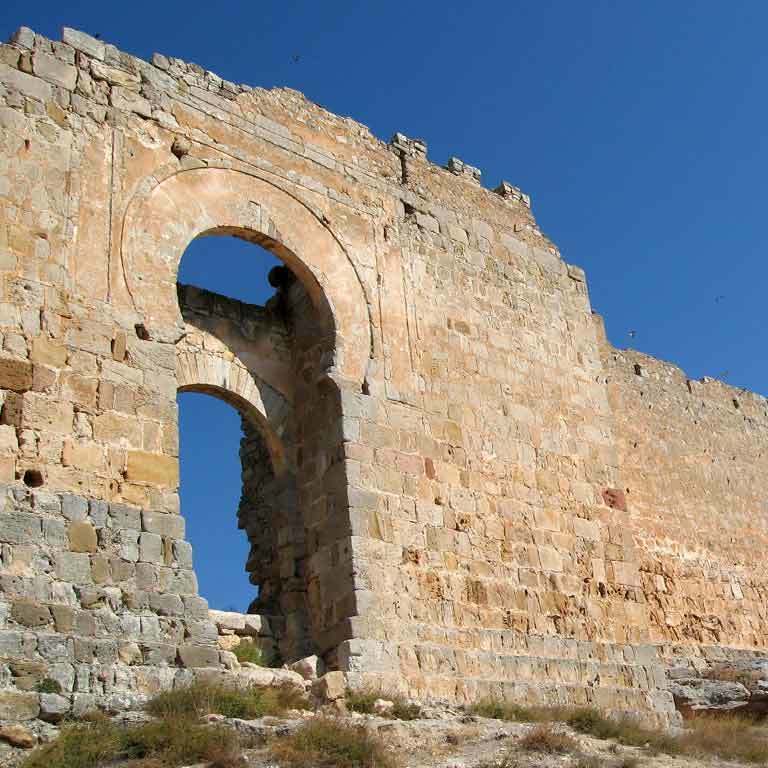 The castle of Gormaz is an impressive Islamic caliphate fortress built in the 9th century and greatly reinforced and expanded in the time of Al-Haquem II, at the end of the 10th century. It was an outpost in the middle of nowhere to strengthen the Andalusian military presence in this area in order to stop the repopulating advances of the Christian kingdoms. 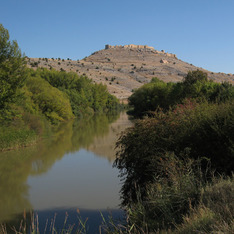 It was, with Medinaceli and Atienza, an important military enclave in the defense of the Middle Frontier. It was never conquered by arms. In 1059, it passed into the hands of King Ferdinand I, thanks to a series of agreements with the weakened Taifa kings. Historically, Gormaz seems to have played an important role in the life of El Cid. In the Spring of 1081 Alfonso VI got into the lands of the Islamic Taifa of Toledo to restore his deposed king, the Arab Al-Qadir. El Cid didn't come along with him: he stayed in Castile with the pretext he was sick. 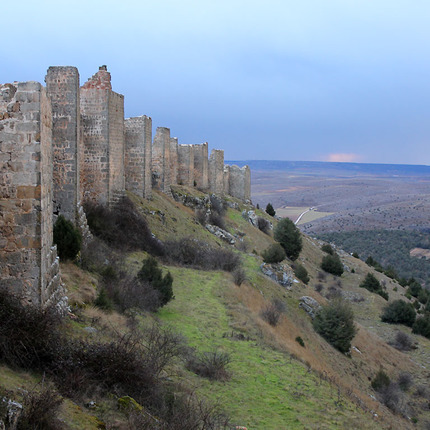 At that time there was news of a bloody Islamic attack on the Christian population settled on the slopes of Gormaz castle, which since 1059 was under Christian rule. El Cid organized a very hard retaliatory attack on the neighboring lands, now province of Guadalajara, and at that time belonging to the Islamic Taifa of Toledo, which was under the "protection" of Alfonso VI. This attack without the permission of the king was, according to some historians, the cause of his exile. Years later, after suffering his first exile, el Cid obtained the pardon of Alfonso VI and returned to Castile at the beginning of 1087, after five years on the Muslim kings of the taifa of Zaragoza service. King Alfonso, as a sign of conciliation, gave him various tenures, among which is believed Berlanga and Langa de Duero, and Gormaz, with all its inhabitants and alfoces. Gormaz, in the Cantar de mío Cid, does not have such a major role: after hearing of the affront suffered by his daughters in the oak grove of Corpes, El Cid sent a detachment of 200 men commanded by Álvar Fáñez, Pedro Bermúdez and Martín Antolínez to scort his daughters. 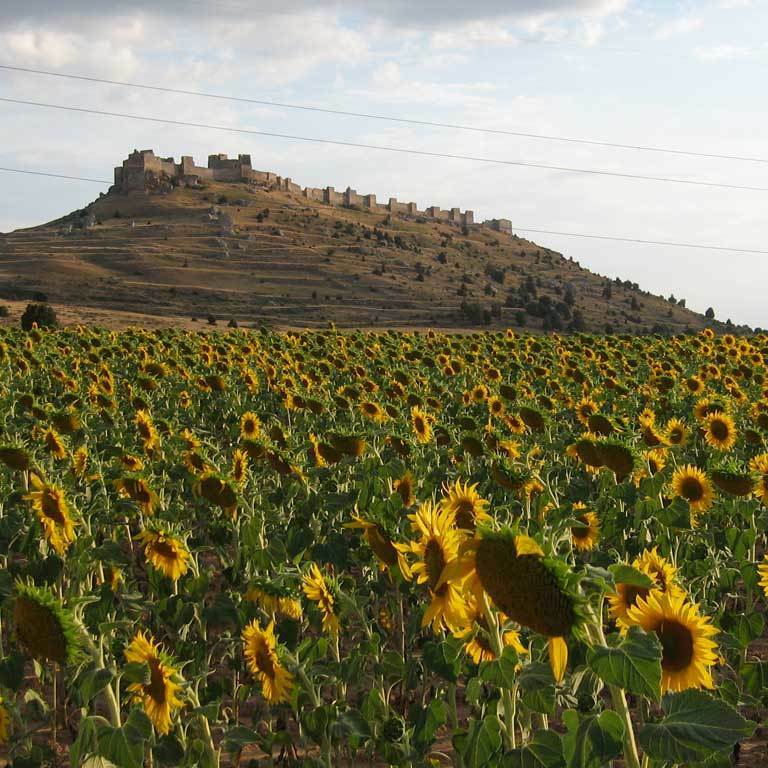 This host spent the night in Gormaz, a castle, according to the poem, very strong. The castle of Gormaz has 1 km perimeter of walls reinforced with 28 towers. Its most important parts are the fortress, the tower of homage or "de Almanzor", the cistern (thanks to which the Arab defenders resisted more than one siege) and its Caliphate gate. 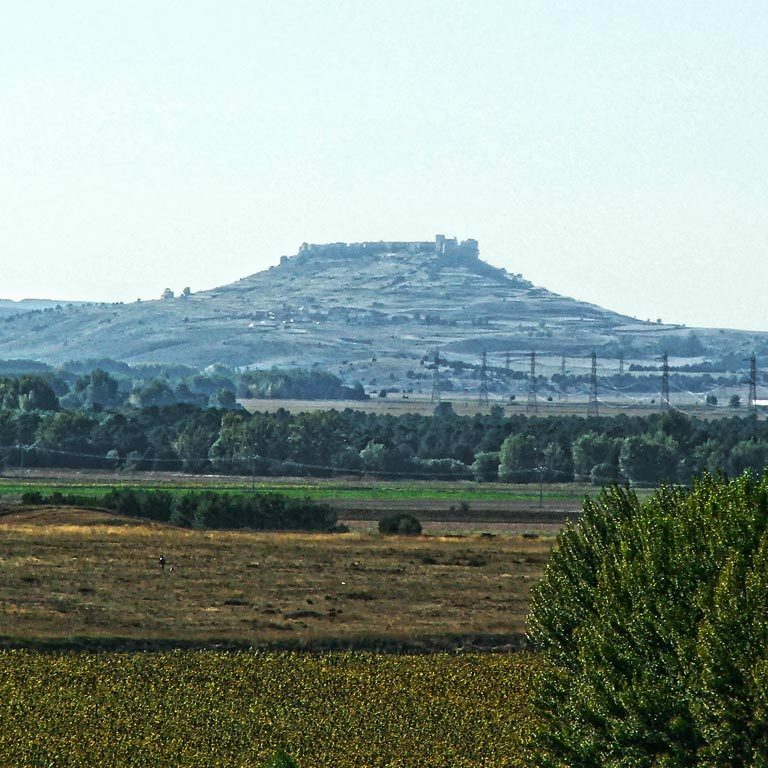 Although the views from below are very impressive depending on the time of day, the views from above, with the meandering Duero between the fields, are simply magnificent at any time and season of the year. 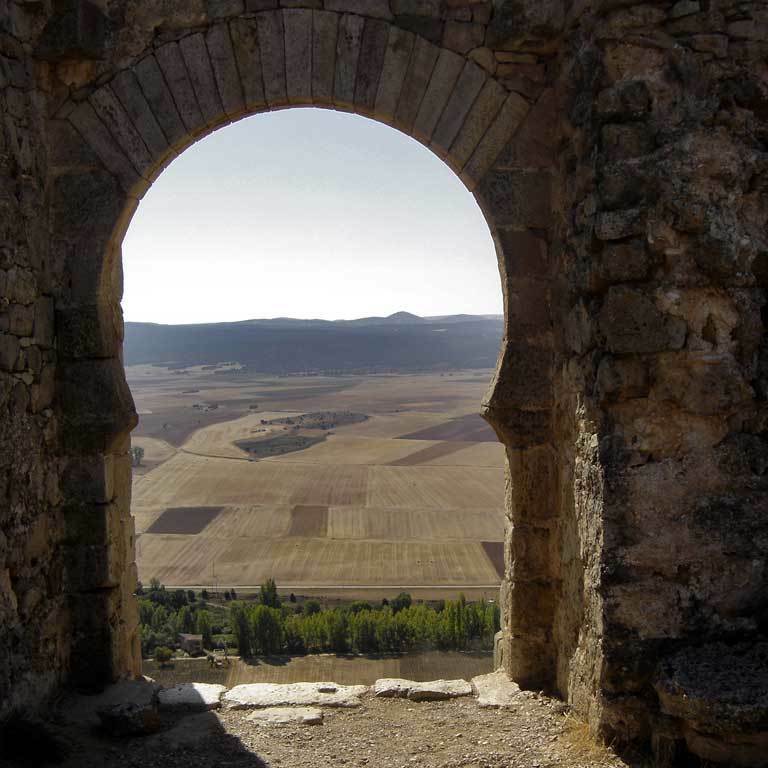 Gormaz is one of the hearts of the Camino del Cid: go up to contemplate the landscape and to breathe the History in capital letters. Entrance: Free. There is an asphalted access road at the end of the village and a small place to leave the cars.